Call us today at (604) 210-6282! Ashton Service Group proudly provides residential and commercial plumbing services to Vancouver area customers. Our friendly staff and trained technicians are standing by 24 hours a day ready to assist you. At Ashton Service Group, we care about your comfort and safety. When you work with Ashton Service Group, you can relax because our 100% Customer Satisfaction Guarantee has you covered. Our skilled technicians work to do the best, most professional job in every situation, while also taking the time to answer any questions that you may have. Ashton Service Group service professionals take pride in their work. They have been hand-picked for the quality of their work, their high standards of service, and their work ethic. Our technicians, armed with the most state of the art equipment, are standing by 24 hours a day to help you with your plumbing issue, so give us a call today! 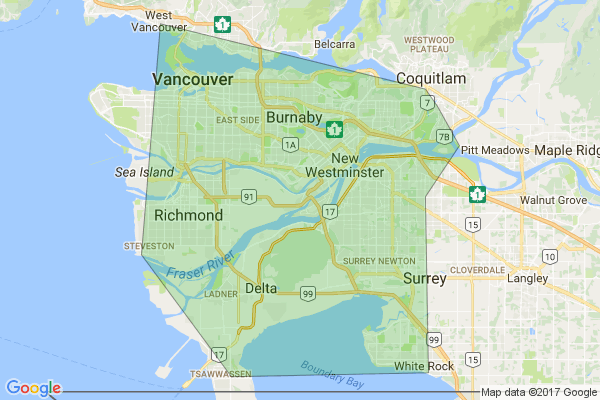 For exceptional plumbing services in the Vancouver area, call us today at 604-210-6282! Our president's first adult job was at BC Plumbing Supplies and after six months on the job he decided to follow in his father’s footsteps, and pursue plumbing as a career. After completing his pre-apprenticeship program at BCIT, he was hired by Pascoe Williams, where he served his apprenticeship specializing in design; building commercial plumbing and mechanical systems. After 8 years there he was presented with a chance of a lifetime to bid on, and received a maintenance contract for BC Housing. That is when Brian Williams formed Ashton Mechanical Ltd. dba Ashton Service Group with his wife and a tool kit. Then year after year, the company started growing and expanding from serving only Ladner and Tsawwassen to the rest of Metro Vancouver. We provide our customers with an upfront price. We have our certified technicians go to your home and diagnose the problem. He will then provide you with recommendations on how to repair or fix the problem and give you a price of the total job including materials and labour. No matter how long the job takes, the price the technician gives you is the price that you will pay. There are no hidden costs or extras that will surprise you at the end. Ashton Service Group holds a weekly all technician meeting to introduce and educate our guys on what is happening in our industry and in our company. This is a way for everyone to access information and ask questions if there are any and bring up anything that they would like to cover. We like to solve the issues our customers are experiencing and the response we receive from them is rewarding. Most of our guys are problem solvers and they love to repair/put things back together again. The most common jobs we do for our customers year-round are fixing leaky faucets, pipes and clearing clogs/blockages from drains and toilets as well as replacing hot water tanks. We also do a lot of furnace repairs, tune-ups/maintenances and installations during the fall and winter and in the summertime we are getting a lot more requests for installing air conditioners and servicing them as well. Do your research and look online to find out more about the company you are thinking of using. Check out their website and read their reviews online by people who have used them in the past. You can also ask your friends, family and coworkers on who they have used for guidance as well. What makes our work different from others in our industry is that we are about doing the job right the first time and providing 100% customer service. Ashton Service Group believes in corporate social responsibility and giving back to the communities that have been so kind and generous to us. You can see what Ashton has been up to around town in the Ashton Supports the Community section of our website. Yes we do work on custom home renovation and construction projects. We start with meeting with the customer and discussing what they envision and we move from there to the planning and designing stage. Ashton can help with laying of the plumbing and mechanical groundwork and come in and do the finishings when it is ready. If requested, we can help with designing a mechanical system or take on the role of a general contractor or project manager. Can I get an estimate/ballpark figure of the cost of a hot water tank/AC/furnace? There are many factors that go into the pricing for a fully installed AC/furnace and hot water tank. We need to measure and calculate the heat loss of the home, they way you will be using the equipment and what kind of ducting you have in your home etc.. before giving a price. Ashton likes to provide an accurate price for a project so that there won't be surprises. The price we give is the price you will pay at the end. No hidden costs. With many questions that need to be answered, we need to send a technician to your home to properly assess the work you would like done. Ashton has been installing more of the on demand hot water tanks that provide endless hot water. It is a lifestyle choice and if you have lots of people in your family or like to take long hot shows and baths then this may be a product for you. Depending on the existing piping and venting your home has the install can take from 1-3 days and if you want to add in a furnace that would take a couple more days. People can expect to pay a minimum $5,000 for an on demand hot water tank and costs much more than your standard hot water tank. You won't see the cost savings for many years but you won't ever have to wait for hot water to heat up ever again. Please use this space to tell Ashton Service Group as much information as possible about your needs. Why Choose Ashton Service Group as your Plumber? One (1) year Ashton labour warranty on our work. Hello, Our tenant in our condo in Vancouver, the Woodwards building, has cracked and chipped our bowl sink. We require a quote for replacement of the sink and counter top, likely in granite or soapstone. It is a very small countertop area. Look forward to hearing from you. My house is built slab on grade. I am looking at a project that would install a shower stall approx. 8 feet from my existing drain. This would entail jackhammering through @3-1/2" concrete to lay the drain pipe and venting. I would also need the concrete work to cover up the pipe and create the sloped floor for the shower stall that would be tiled later.